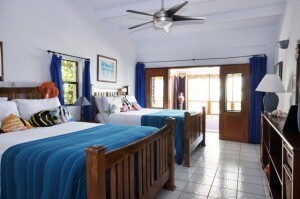 Playa Blanca Island Villas "Our Belize Vacation" - "Our Belize Vacation"
Playa Blanca is very private – yet a short walking distance to some of the finest restaurants on the island. It’s a tropical paradise. You have to see it to believe it! There’s a view in every direction. Playa Blanca’s beachfront elegance offers the perfect place to unwind, get comfortable & discover six shades of blue before ever reaching the skyline. 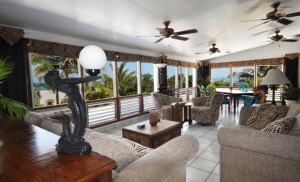 Our Island Villa is a large residence that accommodates up to 8 guests, and includes unlimited fishing and snorkeling with a private boat and captain. Toucan's Nest a second private villa located on the Playa Blanca grounds, accommodates two guests, also includes unlimited fishing and snorkeling with its own private boat and captain. Relaxed Dining in Paradise Savor the flavors & discover a tropical state of mind. 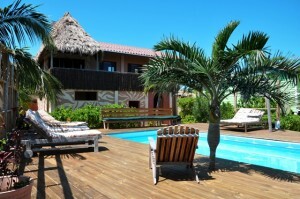 Playa Blanca has blended the relaxed attitude of the island with the most breathtaking waterfront location imaginable. Have all the fun you want in the kitchen and then let our staff do the cleaning. After all…you’re on vacation! Our guides will take you fishing, teach you to free dive for lobster and conch, fillet your catch and even share their favorite Caribbean seafood recipes. Island Dreams & Tropical Comfort An awesome view and lush tropical plants surround you and the Master Bedroom is no exception. The master bedroom offers a king size bed with pillow top comfort. 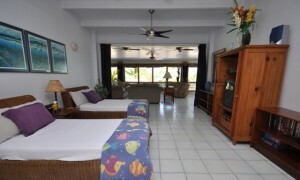 A spacious room complete with a private bath, air conditioning as well as a ceiling fan & an incredible tropical seaside view. 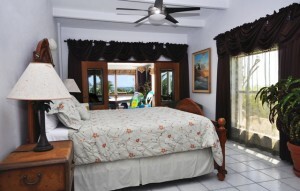 The large Guest Room offers two queen size beds, a private bath, air conditioning & a ceiling fan. Media Room Playa Blanca’s media room has all the comforts of home including two day beds that can also serve as sleeping units. A privacy curtain at both ends of the room converts this space into an extra bedroom. The media room is air conditioned. The Media room is equipped with all the electronics you’ll need to stay connected. 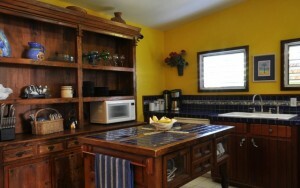 Satellite TV with music & movie channels, DVD/CD Player and free high speed internet.